Join Australia Tibet Council in a wanderlust journey that will take you to the foothills of some of the highest summits in the world. As part of this incredible adventure, you will experience the magic of India, from the bustling capital to the majestic mountains in Dharamsala. Over four days, you will follow timeworn pathways through the Himalayan foothills, travelling through open meadow, dense pine forest and into friendly villages. Nothing short of extraordinary, you will immerse yourself in the vibrant antiquity of Tibetan culture in Dharamsala, the home in exile of the Dalai Lama. Best of all, with every kilometre you cover, you will raise vital funds for Australia Tibet Council to support our work for a free Tibet. Accompanying you on the adventure is world-renowned Tibetan musician Tenzin Choegyal. Not only will you be trekking alongside Tenzin, you will also enjoy a special bonfire concert on the final night of the trek and create memories to last a lifetime. Best of all, with every step you take you will be raising vital funds for Australia Tibet Council to help end China’s occupation of Tibet and protect the freedom and human rights of the Tibetan people. 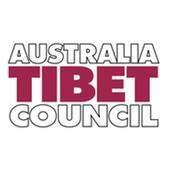 Australia Tibet Council is a small not-for-profit. We do not receive funding from any government and rely solely on the support of passionate people like you. Boarding an overnight train, you will travel to Dharamsala, the cultural and political centre of Tibet in India and the home in exile of His Holiness the Dalai Lama. Here you will visit the Tibetan Children’s Village before embarking on the trek-of-a-lifetime through the Himalayas. Following in the footsteps of Tibetans seeking refuge in India, over four days you will trek across lush alpine meadows, through rhododendron and pine forest and into traditional villages set in the shadow of snow-capped peaks. As you climb steep ascents and descend into valleys, you will pass Gaddi shepherds guiding their herds, wave at children who run out to greet you and meet local women working on traditional handicrafts. Accompanying you on the adventure is world-renowned Tibetan musician Tenzin Choegyal. Born to nomadic parents in Tibet and raised at the Tibetan refugee school in Dharamsala, Brisbane-based Tenzin Choegyal has travelled across Australia and the globe sharing his unique musical talents. He draws on his traditional roots to create original compositions that uniquely express his cultural heritage. Early birds who register by 7th of December get $280 off.